Does your Pitbull misbehave? Don’t stand for it! 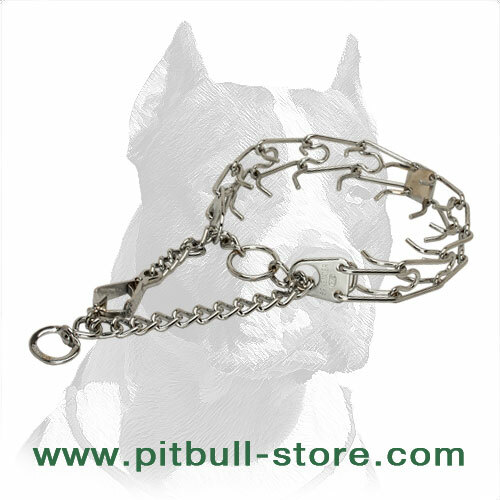 This Obedience Training Dog Pinch Collar for Pitbull will perfectly help you to manage with too independent dog’s nature and will show your mighty pet how important it is to obey the Master. Each time your dog pulls the leash, the collar causes some pain on the dog’s neck area due to the special thick internal pinches. 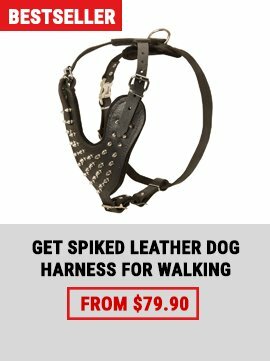 These pinches aren’t dangerous for the dog and cannot injure him, yet bring a great training effect and very soon you’ll cope with the problem of your Pitbull’s bad behavior. Note! 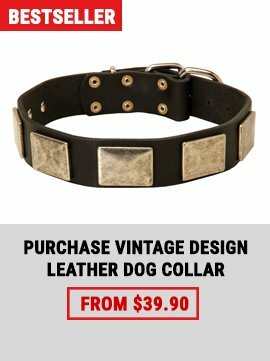 This kind of collar is meant for training only. Don’t use it on a daily basis and don’t leave your dog unsupervised when he is wearing it. This Pinch Dog Collar’s size is 21 inch (53 cm) with prongs diameter - 1/9 inch (3 mm). The weight is about 7 oz (200 g). 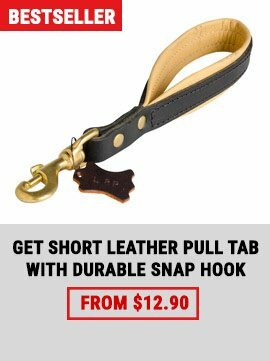 You can adjust this collar to your dog’s dimensions simply adding or removing the links. Each link’s length is 1 2/5 inch. Aside from the perfect training effect of this collar use, it looks beautiful due to its silver-like chrome-plating. This technique also makes this gear rustproof as well as easy in cleaning. 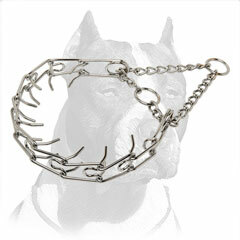 This prong collar will serve you and your Pitbull a great while. 5)	Has a special stamp “HS-Germany” on the swivel, which approves the genuine quality of the product. -	Makes the collar’s look like a regular one.